Why settle for a dull, drab office chair? 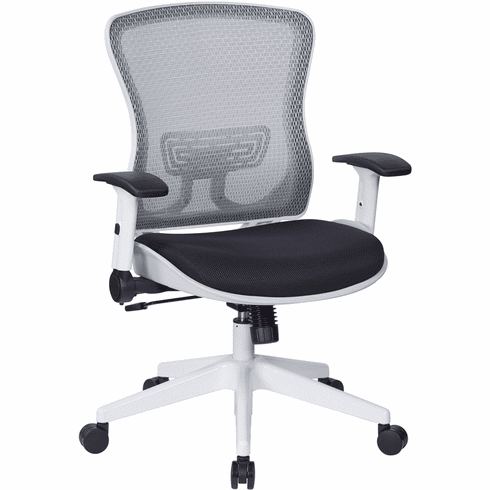 Work in style with the Space Seating® White Mesh Padded Seat Managers Chair. Stylish yet comfortable, this chair offers great support with a sleek, modern look. With fully adjustable tilt and tension control and height adjustment features for individual comfort. Seat Height Min: 18.25" - 22.25"